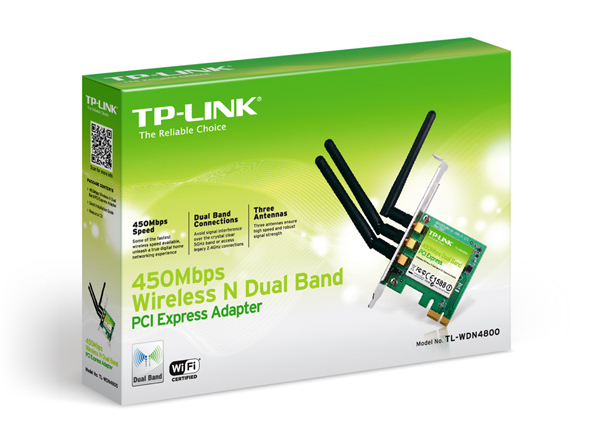 ﻿TP-LINK’s 450Mbps Wireless N Dual Band PCI Express Adapter, TL-WDN4800 allows you to connect a desktop computer to a wireless network and access a high-speed wireless network connection. Complying with IEEE 802.11a/b/g/n, the device can use the 2.4GHz or 5GHz channels and provide wireless speeds of up to 450Mbps which is ideal for users seeking a highly robust, bandwidth intensive wireless networking experience, particularly with HD video streaming and online gaming. 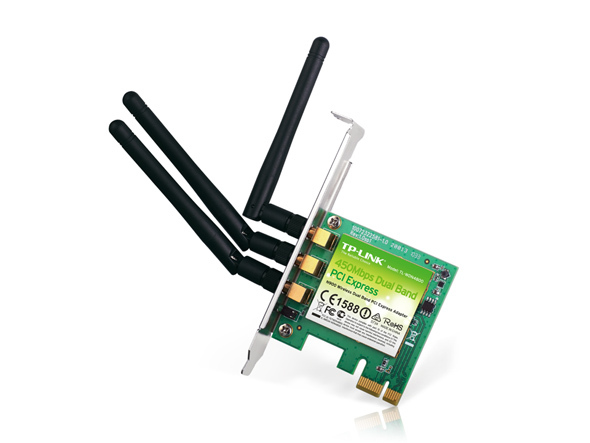 Dual Band is the latest wireless technology allowing the adapter to connect with a 2.4GHz or 5GHz network. This allows you to check e-mail and browse the Internet using the 2.4GHz band or stream HD movies and other media on the 5GHz band. The advantage of working on the 5GHz band is that, unlike the crowded 2.4GHz band shared with microwaves, cordless phones and other wireless networks, it has much less interference and can provide a more stable wireless signal, which is ideal for online gaming and HD video streaming. WPA/WPA2 encryption standards ensure your wireless connection is safe from intruders. Either using the optimized user interface and setup wizard or the CD (included) setup wizard will allow you to get ‘online’ quickly and easily.